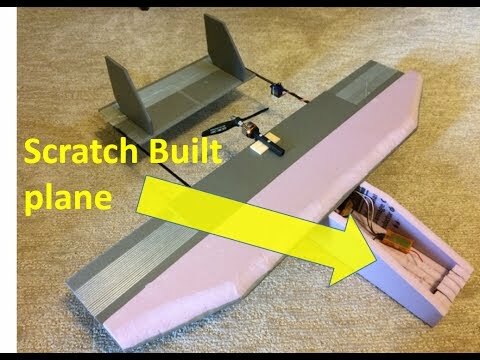 Part 1 video - Just finished the preliminary design of my first RC plane which has the basic elements of Skywalker and Micro Drone v3. I am using SketchUp to model the this plane. Subscribe my SubsonicHobby YouTube channel for the latest development. As always, your ideas and comments are welcomed. Looks a bit small to be flying that high and away from you. Maybe a 40 inch wing would be better all around. Point taken. The reason that I have 31" wing is because I have 31" long 6mm Depron foam board. Also, I flew the Micro Drone v3 which has 27" wing and found it flew ok.
Could you tell me more about why the wing requires longer in order to fly high? He was saying that a bigger wingspan would make it more visible. Nice video you have there and good suggestion. I am consider to make the plane a bit bigger. Do you know any rule of thumb or ratio between wingspan length and front and rear length? True. I am actually following the MicroDrone v3 in this design. Lets see how it will fly when I finish it.